Operating a franchise within a proven, customer-centric business model is advantageous. Ben’s Barketplace provides franchisees with the training and resources needed to operate a successful pet food supply franchise. The pet food supply industry is booming and healthy pets have never been so happy. 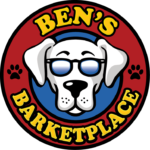 Join Ben’s Barketplace and open the next neighborhood pet food supply franchise today!